With this budget we decided to go all out on the graphics card. The Nvidia GeForce GTX 1080 Ti is one of the single best cards on the market right now. At 1080p or even 1440p you will not have any problems with AAA games and the 1080 Ti is perfectly suited for VR gaming as well. When using a GTX 1080 Ti you should consider stepping up your monitor to a 120/144hz screen for the best gaming experience. All of our components are housed in the Thermaltake View 37 Riing Edition case. This case has a unique side panel, room for enthusiast CPU coolers, watercooling radiators, and front panel USB3.0. Nothing about the build, but BE CAREFUL. The gpu was being sold by an amazon seller called smartercase and THEY ARE A SCAM!!! Many people including myself never received our items. Amazon has been contacted and I am getting a refund but now I have to find another more expensive gpu, be careful everyone. Your saying avoid purchasing the gpu off of Amazon?? Since when a GTX1080Ti costs 526.00 ? Since Amazon incorrectly reports global store prices to PC Part picker excluding VAT, (20%), Duties and fees. I've messaged PCPP about this, Amazon global store prices are NOT representative, the GPU the parametric filter selects is over £200 more landed in the UK. This isn't the only thing listed like this. I saw a post where a guy put a 980x in a build and PCPP has it listed at $1000. lol. There's a bunch of stuff listed incorrectly. With newer builds, the cost is semi accurate. Anything else is a shot in the dark really. Is 550w PSU not enough for a 1080 TI? 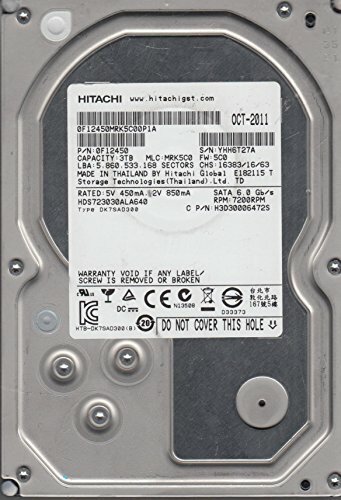 What does the compatibility note: "The motherboard M.2 slot #1 shares bandwidth with a SATA 6.0 Gb/s port. When the M.2 slot is populated, one SATA 6.0 Gb/s port is disabled" mean? I'm thinking of doing this build and I'm pretty new to this stuff. It means when you put the M.2 SSD that's on the list into the M.2 slot on the motherboard, one of the SATA ports (which hard drives and non-m.2 SSDs use) are disabled. This is because the M.2 slot shares PCI-E lanes with the SATA port that's being disabled. I have a similar build with but struggling to get to 5ghz with the 8600k on the asrock pro 4 board. Anyone have any tips or links? Is this a good first pc and be able to run AAA games at a decent FPS? (Sorry brand new to pc gaming) Also is intel or AMD for processor?? This will run just about anything you can throw at it. Even with an i5 chip? The newer i5 chips are similar to previous i7s in terms of cores. You will not have any issues. You can watch comparison videos of the i5-8600k vs. the i7-8700k. In gaming, there is about a 10 FPS difference, which in my opinion is not worth the extra $100-$150 for i7. Is there a suggested wifi card (PCI vs USB)? Not sure how to choose or if it is compatible. Also, has anyone used this case? I see a lot of mixed reviews on it and was looking for some input. Thank you. Also can anyone recommend a different case that would work? a more expensive or less expensive case? Ok so, if you want a pretty good case for an amazing price, I would recommend the Cooler Master - MasterBox TD500 ATX Mid Tower Case. It goes for bout exactly 100 dollars CAD and has 4 rgb fans inside of it. I used to have the case and I added 2 more fans in it. Overall, it was a really good case which comes at an amazing price. Would easily recommend it to you. Omg man thank you so so much, it looks so amazing. Definitely using this one!!! Would this pc be able to play DayZ, arma3 fallout 4 etc.? £1337? Did you do that on purpose? Does that mobo support overclocking to 5ghz? Would it make any sense to get a GTX 1070 instead of the 1080 to save a little cash? Trying to come up with a build for gaming, music production, twitch streaming, and video editing. Thanks! The 1080 ti in this build is basically overkill as is the 1080. If I were you I would go for a 1070 ti because it's performance is pretty close to the 1080. Look it up and it'll save you quite a bit of money. It's the "best bang for your buck". Not that the 1070 isn't enough but it's just a better deal to go with the 1070 ti than just the 1070 and 1080. It's a great middle line. No final pictures of everything installed? How dare you! To be honest, i would rather have a i7-8700k or r7-2700x over a i5, even if i downgrade to a gtx 1080. It is def better and has more clearance for ram too. I think you could go with something a little cheaper on the CPU cooler. There are a lot of versions of that 1080 ti. That case has been known to scratch easily because of the window not being tg but rather acrylic. If anybody wants to build this I would recommend along the lines of a Fractal Design Meshify C tg or NZXT H500 not I.
Loading all of these parts into Newegg's psu wattage calculator it says 650 watts is recommended, am I doing something wrong? wouldn't 550watt power supply be a little too low for this build, esp if overclocking? I get that it can prob get you by, but seems like it would be best to play it safe and get 650w since this is such a good build that spending 30 bucks extra on a power supply shouldn't be that big of a deal, right? The mother board is a bit disappointing. For this price point I would have expected a nicer mother board from Asus for example. It is quite disappointing that so much money was spent on the case for aesthetics. There are plenty of cases that are just as nice but a lot cheaper e.g. NZXT H500/700. The mother board was supposedly picked for overclocking but if you ask me, you would be better off buying a aesthetically pleasing Asus/gigabyte/MSI mother board and spending less on the case. Please make a post in the troubleshooting forum. These are more basic parts so if you look up how to build a gaming pc from scratch it will most likely show you how to build it. It would be another case if there was water cooling or something else of that more complicated sort to install. Also this case can be organized very well so look up the case and how to build a pc using that. Power supply seems weak, under full load the 1080Ti can pull 300W+ alone. Having less that 250W headroom for CPU and all other functions is ridiculous. 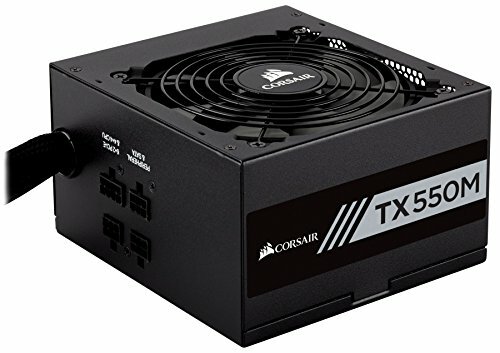 Why not add $30 and get a 650W+ PSU that will not have to be running 100% so much. I guarantee that that 550W will be running its fan loud whenever you do anything demanding. Secondly, an i5 seems like a strange choice for an "enthusiast Intel build". Most i7 aren't even enthusiast level in my eyes. Because it's unnecessary. And it's an enthusiast gaming build, not an enthusiast build, therefore upgrading to an i7 wouldn't be worth the cost. Why? Why? WHY?Are you using the i5-8600k Instead of the vastly superior i7-8700k? To save the price difference. It won’t make a huge difference since most games still depend on single threaded IPC, hyperthreading is not as good as real cores, and the i5 overclocks better generally. Over $100 more for the 8700k. "vastly superior"? Nope. Not for gaming at least (which is what this rig is built for). The 8600k is known as one of the best gaming processors. You can watch comparison videos of the i5-8600k vs. the i7-8700k. In gaming, there is about a 10 FPS difference, which in my opinion is not worth the extra $100-$150 for the i7. It (was) the highest end i5 processor, and for gaming it is much better. Ah, I love it when people think they know it better just because they heard i7 is better than i5. You don't need an i7 for a gaming build, this rig is good enough to play the newest AAA titles on Ultra on atleast 100+ fps on 1920x1080. I agree, enthusiast is not i5, It's a powerful chip, but an i7 4790k isn't enthusiast anymore but was at one point. Just because an i5 is as powerful as old i7's that doesn't make it enthusiast. That older i7 4790k chip will still let you play just about anything you throw at it with a good frame rate, especially when overclocked. That's true, and it's still a great chip, but it is no no longer enthusiast grade and 8700k and 7700k smash it. It's an enthusiast gaming build, not an enthusiast build. Ergo, an i7 makes no sense here. In gaming, an i5-8600k is just as good as an i7-8700k. In gaming, there is about a 10 FPS difference, which in my opinion is not worth the extra $100-$150 for i7.